Named after Scotland’s world-famous golf course, the community of Royal Troon provides a great place for families to enjoy picturesque views of the surrounding landscape as well as a host of exciting activities. Located in Dayton, Nevada, Royal Troon delights residents with easy access to enough exciting outdoor activities to create a new adventure every weekend (or every day!). The nearby Arnold Palmer Signature course is a major attraction for the true golf enthusiast, and opportunities abound for bicycling, hiking, and much, much more. Feel like staying in? Our homes provide the perfect getaway in and of themselves with exciting amenities. Enjoy a true cinematic experience as you watch your favorite movies and shows in the privacy of your own full-sized entertainment alcove. 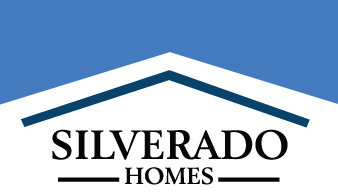 We offer three unique floorplans with the perfect balance of luxury and affordability. Our Royal Troon homes have a simple yet elegant look with deference to simplicity and beauty. It is a combination that pairs well with the surrounding landscape. Each floorplan has its own unique character, allowing you to create the ideal environment for work, play, and anything in between. We are temporarily sold out at Royal Troon. Please join our interest list to be among the first to receive information on new releases. We also offer new homes at Cypress Point, a nearby community in Dayton. Please contact us, we’d love to give you a tour. Click for more information.